Does The Carnivore Diet Work?steemCreated with Sketch. I have been interested in trying to make my ever present stomach pain go away for many years. I heard about the carnivore diet and it seemed to resonate with me. There are a lot of people online, many of them crypto related, that have spoken of this diet and the benefits it could have. Many people with gut problems are having beneficial results from carnivory. I read a bit on it and watched some videos by actual doctors and I am still learning, but, I also jumped right in. 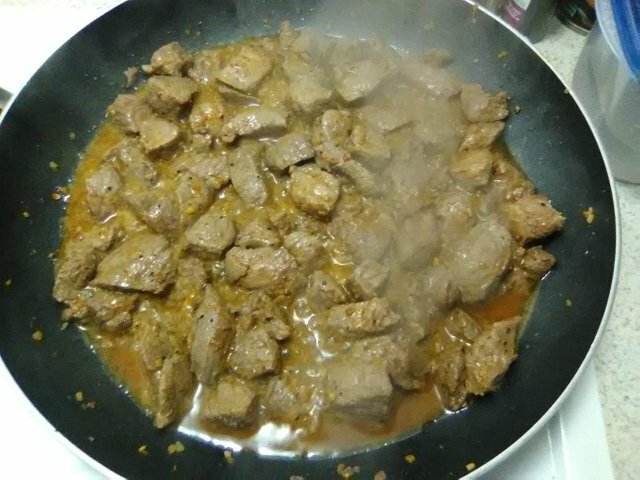 I had some pan fried beef the first night. I had one hard-boiled egg for breakfast the next morning and I had brisket and ribs last night. Today I had fried eggs and bacon for breakfast and I am having cheeseburgers sans buns for dinner. My gut pain is all but gone! That fast! I have been living like this for 34 years. A doctor did tests and samples and told me as a long as I was moving properly, it would probably go away. It never has. It wasn't a horrible pain, just always there. I hope it stays that way. I have heard the weight loss stories, and I didn't really care about that aspect too much, but if it happens, I will share that with you. Cutting out sugar could also prevent me from getting diabetes. My brother has it and has already lost parts of himself. He still eats sweets, the poor guy. One of the doctors I was watching said that this is pretty good as an elimination diet. I don't know how long I will stay on it completely. I may add some fruit later on to see how it goes. I may not. I feel better already and I have a ton of energy as well, especially after I eat. I get a huge boost after dinner and I don't crash afterwards. I have had good results so far, but, we will see. I will keep you posted. Thank you for reading!